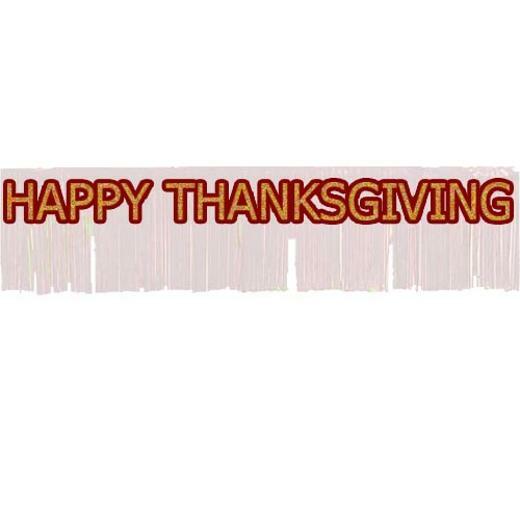 There is no better way to decorate your Thanksgiving table than with 8 ft of colorful fun. This fringe banner with the words, "Happy Thanksgiving" written in variety of colors will be the hit of your party. This awesome banner can be disposed off or reused year after year. The perfect banner for the perfect party! 8.60 ft. x 10 in. L: 10.0 in. W: 9.5 in. H: 0.5 in.